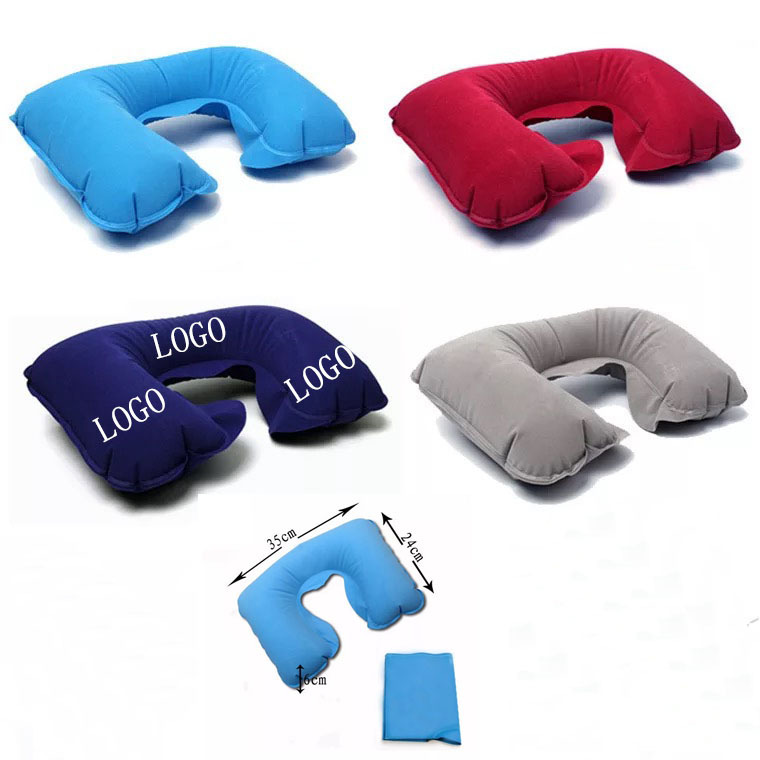 This U-shape pillow is made of PVC with velvet. Keep your necks supported when you're resting in an upright position. Easily inflated and deflated. Custom logo imprints are available. Package: 1 pc/opp bag, 500 pcs/ctn, 51 lbs/ctn. Imprint Size: 2" x 6"